Perfectly Simple! 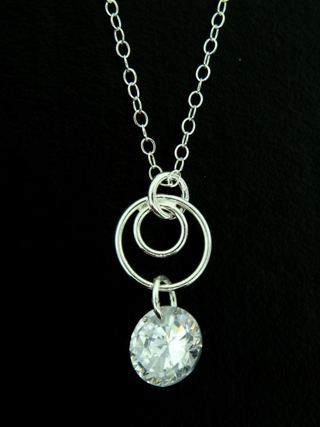 With interlocking circle design adorned with genuine drops of Cubic Zirconia in clear hue. This collection is modern with the right touch of famine flair! About: Cubic Zirconia contains the optically flawless crystalline form of zirconium dioxide, a lustrous and strong metal resembling titanium. Like natural diamonds, cubic Zirconia is isometric in structure and is considerably harder than most natural gems, with a high refractive index, making it long-wearing with magnificent color brilliance.